A Mercedes-Benz for the new generation. Millennials (Generation Y), or people who were born from the mid-1980s to 1999 (there isn’t exactly a fixed date as to when this starts or ends) make up almost half of the current Filipino workforce. With our generation’s increased challenges made by climate change, rising real estate and car prices, as well as rising utility, food, and fuel prices, we are often called the “Peter Pan” generation, whose onset of going into adulthood, buying their own house or own car to become independent from their parents is being deliberately delayed as a result of these challenges. Car manufacturers are also bucking on the trend. Some companies like Volvo are trying out a “subscription” service to make car ownership more attractive to millennials, while most are creating cars that are relatively compact, yet have the practicality, utility, and style that an SUV has. The small SUV segment is what drives showroom sales these days, and it’s not just millennials. Everyone is looking for small SUVs nowadays, as the benefits of a taller ride height seem to attract more customers. 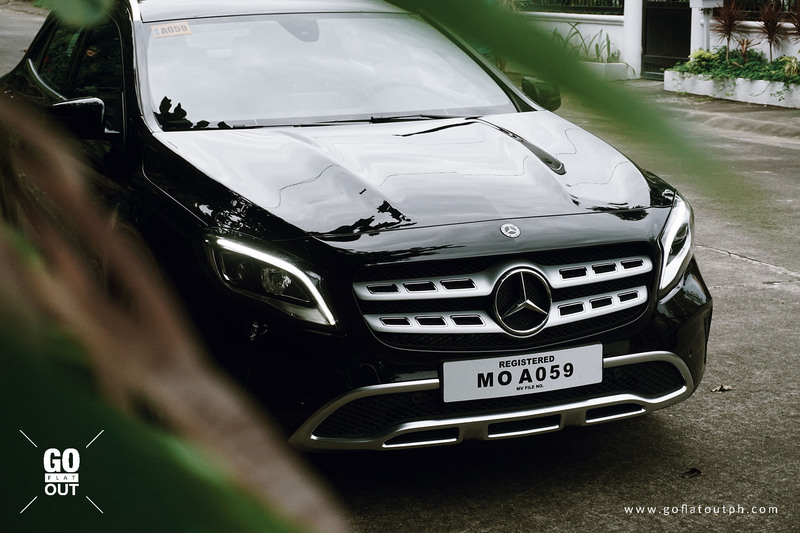 Whereas traditionalists would point towards a Mercedes-Benz C-Class or BMW 3 Series as their entry point into owning a luxury car, millennials are increasingly interested into cars like this Mercedes-Benz GLA here. In a bid to attract younger buyers, as well as lower the company’s average ownership age, has the three-pointed star brand succeeded in their creation? Let’s find out. If we were to judge everything through styling, I’d give the GLA 180 a perfect 10 out of 10. Despite the GLA having 183 mm of ground clearance, it doesn’t look particularly tall. As a matter of fact, at 1,494 mm, the Mercedes-Benz GLA is only 10-20 mm taller than the A-Class hatchback on which it is based. As a result, the Mercedes-Benz GLA is often accused for being merely an A-Class on stilts. The end result though is a sleek, sharp, and handsome compact crossover with enough beauty and presence to make people turn heads. Its body is simplistic, as there aren’t too many lines or creases to overdo it, and yet, Mercedes-Benz managed to make the fundamental design elements look great. For its 2018 mid-cycle refresh, Mercedes-Benz concentrated on giving the GLA a stronger SUV-like presence, thanks to details such as the beefier bumpers, satin metal skid plates, and nicely finished twin exhaust pipes. Considering that this is the entry-level Urban variant, I’m glad Mercedes-Benz still managed to make the GLA go toe-to-toe with its pricier siblings through the use of gorgeous 18-inch alloy wheels, LED headlights with LED daytime running lights, and LED tail lights. The interior is distinctive and modern, giving its own character in a sea of small crossovers that all look the same nowadays. 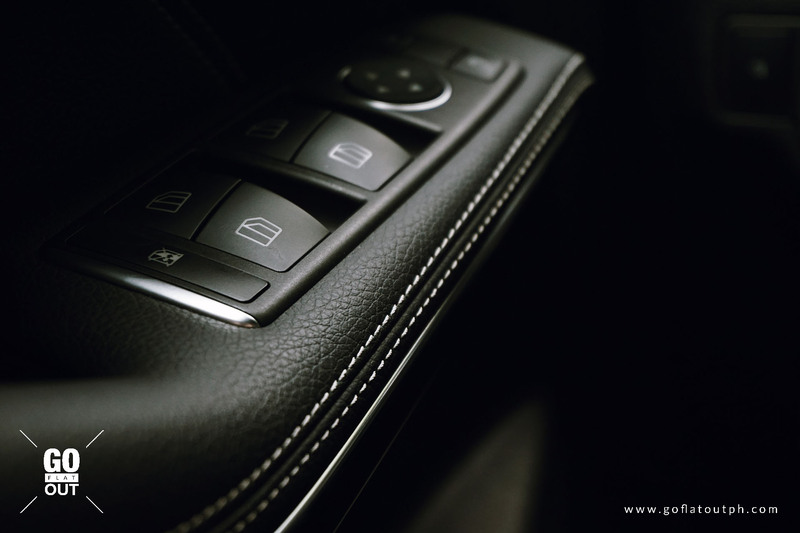 The tactile experience with the buttons, knobs, and switches are all that you would expect from a German premium brand. 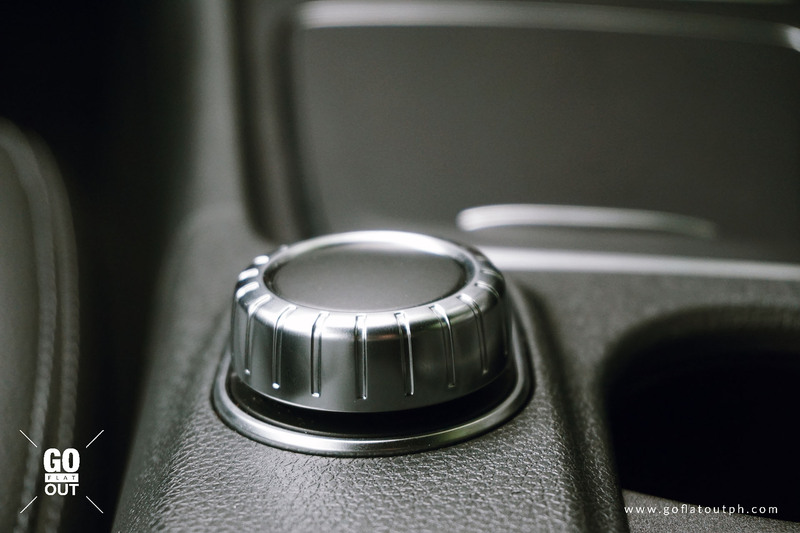 I particularly love the aircon vents that look like they came from the Mercedes-AMG GT sports car. It offers such a nice heft and quality feel to it when adjusting the air flow. 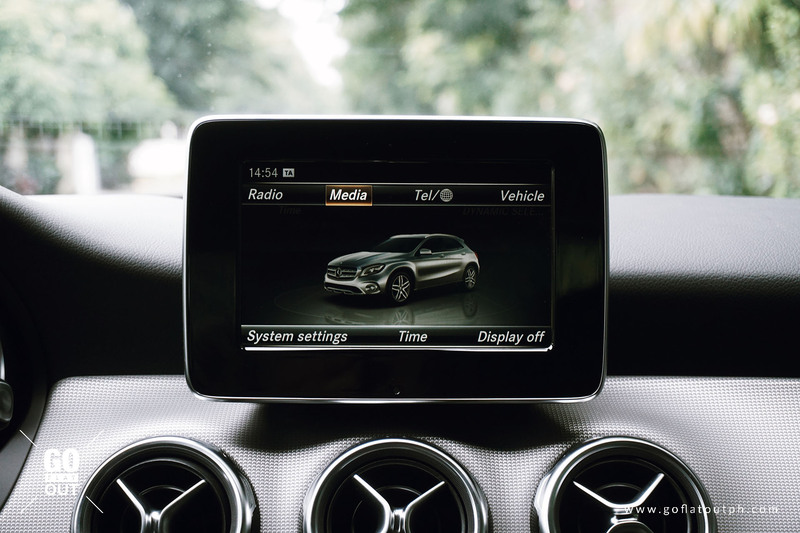 Mercedes-Benz is one of the first companies to adopt the floating tablet-style infotainment screen, which is currently in vogue, but it’s the one details that’s starting to feel outdated compared to its newer rivals such as the Audi Q2. If there’s one let down though, it would be some of the interior plastics. While most of the interior is done in soft touch plastics or Artico man-made leather (which actually feels premium and convincing), poke through the lower parts of the cabin, and there are many hard plastics, particularly those surrounding the center console. Granted, these will be places you will rarely touch, but a BMW X1 and Audi Q2 has soft touch plastics even through the lower parts of the cabin. The Mercedes-Benz GLA 180’s interior space isn’t class leading, but it’s good nonetheless. Up front, the driver is provided with electric adjustments for the seats. Combined with the tilt and telescopic steering wheel, drivers of different body types are able to easily find their ideal driving position. One thing I appreciate with most German premium brands are the extendable thigh supports, which extends the seat cushions meant for people like me, who have longer limbs. The seats at the back are best left for two when travelling long distances. While three would be possible, its somewhat narrow body and contoured outer seats make the area for the middle passenger a bit awkward, but if it’s within the city, where the GLA will most probably always be, it’s fine. As a consolation, legroom and headroom is pretty good, even for a 5 foot 11 adult like me. 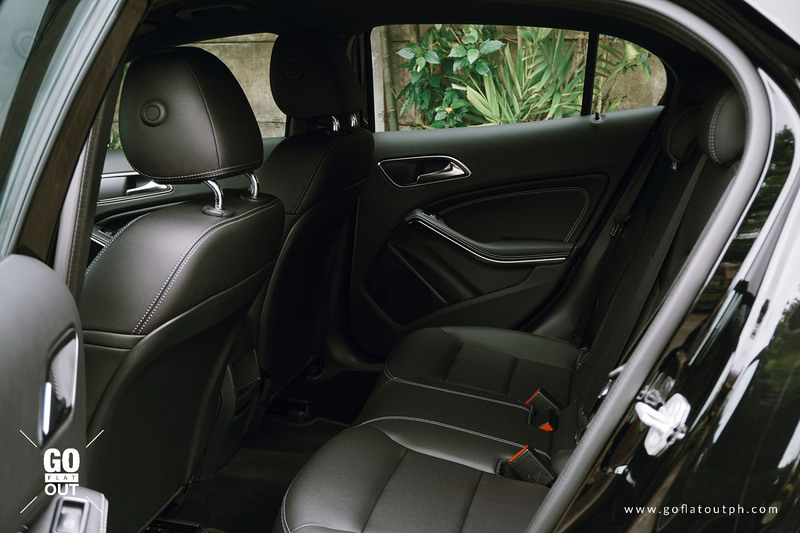 Because of the car’s design, the back seats can feel pretty dark, because of the slightly high and small rear window, which means smaller kids might have a hard time to look out of the window. Storage-wise, the Mercedes-Benz GLA offers a decent-sized trunk at 481 liters, which grows to 1,235 liters with the seats folded down. At the back, there’s a couple of cupholders on the center armrest, as well as a bottle holder on the doors. Thanks to the column-mounted electronic shifter, the center console has stacks of bins. There’s even a big storage bin too that can be removed, which means you can treat it as either a large ash tray, or a small trash can. 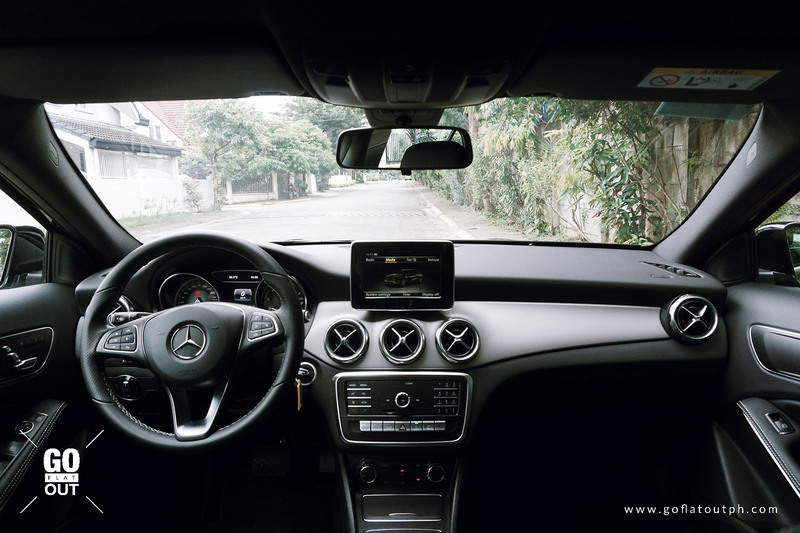 The glove box is huge, too, which means as a whole, while the GLA isn’t the class leader in terms of space, it’s still one of the most practical, too. Being an entry-level offering, it doesn’t come with many toys that you expect from the German luxury brand. While the GLA is equipped with features such as cruise control, an entry-level version of the brand’s COMAND infotainment system with only six speakers, ARTICO man-made leather, and electronically adjustable driver’s seat, the GLA doesn’t benefit from things like automatic folding mirrors, automatic climate control, and passive entry with push button start. 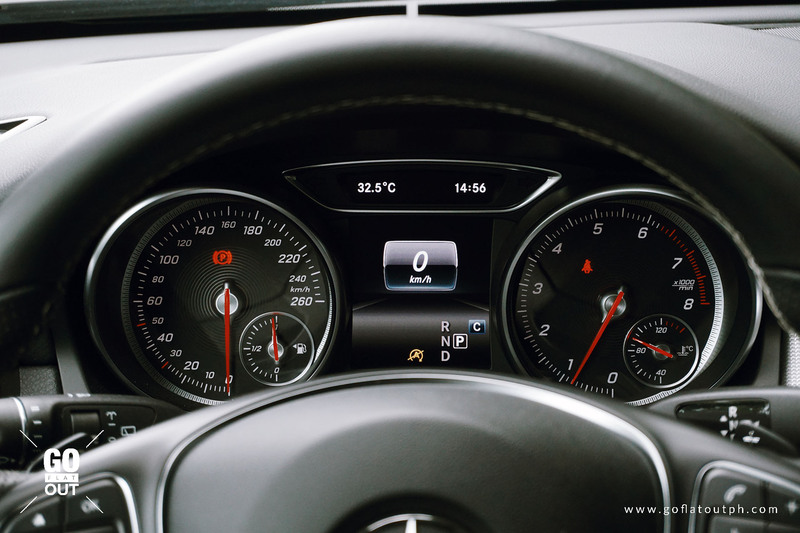 The COMAND infotainment system, just like in every other German luxury car, utilizes a rotary control knob to operate the infotainment system. It’s generally easy to use and navigate through the menus, though it lacks the slickness of BMW’s iDrive interface. Nevertheless, the graphics are nice, and tunes played through the car’s 6-speaker audio system sounds crisp enough. If any, the infotainment’s cool animations somewhat makes the user experience a bit slow, if not laggy to operate. Being a Mercedes-Benz, this GLA is equipped with an impressively list of safety kit. 7 airbags, ISOFIX child seat points, anti-slip regulation, electronic stability program, ABS with EBD, brake assist, and hill start assist. Additionally, this GLA also comes with Collision Prevention Assist. Though it is not a form of automatic emergency braking, it continually monitors the front of the GLA from speeds of 30 kph. If you are too close to the car in front, a red warning light appears in the instrument cluster, and if you are approaching the vehicle in front too quickly, the red warning light will flash multiple times, as well as blare out an audible warning. If you do respond to the warnings, but it is already at a critical moment, the system will multiply the brake force to give assistive braking. Powering this compact SUV is a 1.6-litre turbocharged inline-4 petrol engine, which is co-developed with Renault. It produces 120 hp @ 5,000 rpm and 200 Nm of torque @ 1,250-4,000 rpm, and is mated to a 7-speed dual clutch transmission. 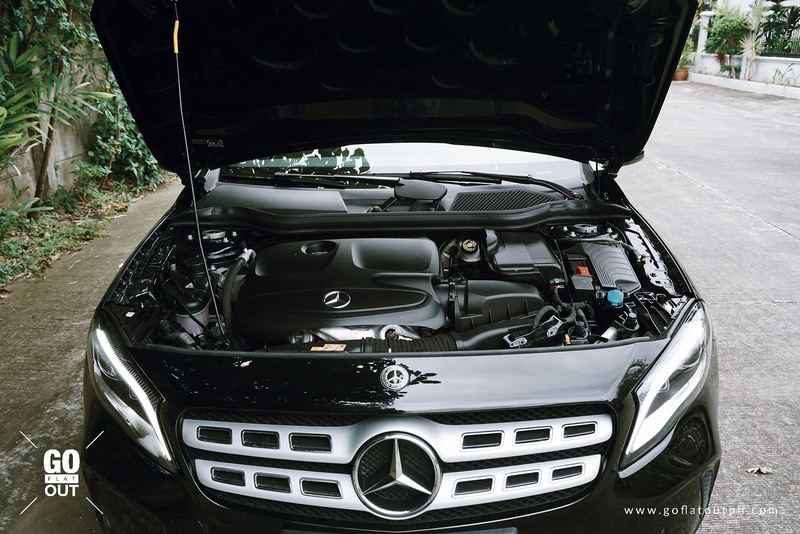 Upon starting the engine, you’ll notice how refined and quiet the engine is, though it has a little clatter due to the direct injection system of the engine. As you move the electronic shifter to D, you may initially find it weird to operate, but one that is easy to master and then becomes second nature to use. Despite the engine’s small figures on paper, 0-100 kph is achieved in a decent 9.3 seconds. 120 hp is low, especially for a turbocharged petrol engine, but the car feels faster than what the papers suggest due to the strong 200 Nm of torque that the turbo engine provides in a wide rev range. The 7-speed dual clutch transmission is also quite good. In the city, it shifts to the highest gear as much as possible in order to save fuel. Put your foot down, and it downshifts quite eagerly, which is even more evident if you fumble with the Dynamic Select button to switch the drive mode to Sport. There’s also Comfort and Eco, but since the engine doesn’t really give a true sense of urgency, I left it at Comfort for the most part. 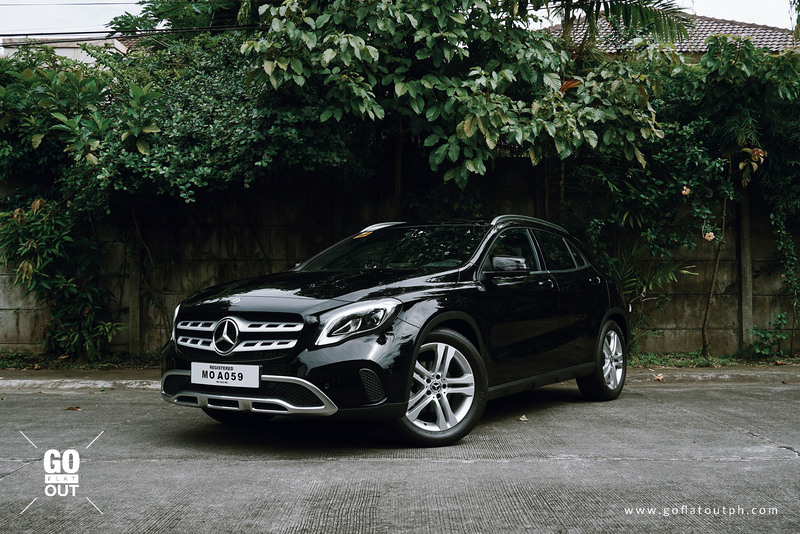 As you take it out into the open road, the Mercedes-Benz GLA shows its dynamic strengths. Its steering-which is light and nimble to use, offers a decent amount of precision and responsiveness, though a BMW X1’s steering offers more feedback. Nevertheless, the suspension keeps the car flat and stable through corners, making it more eager to change directions than your usual Mercedes. Despite being front-wheel drive, the GLA still offers plenty of grip through hard cornering. However, as a consequence of its Autobahn-tuned suspension, the GLA’s ride is very firm, making you feel every rut and bump on the road. 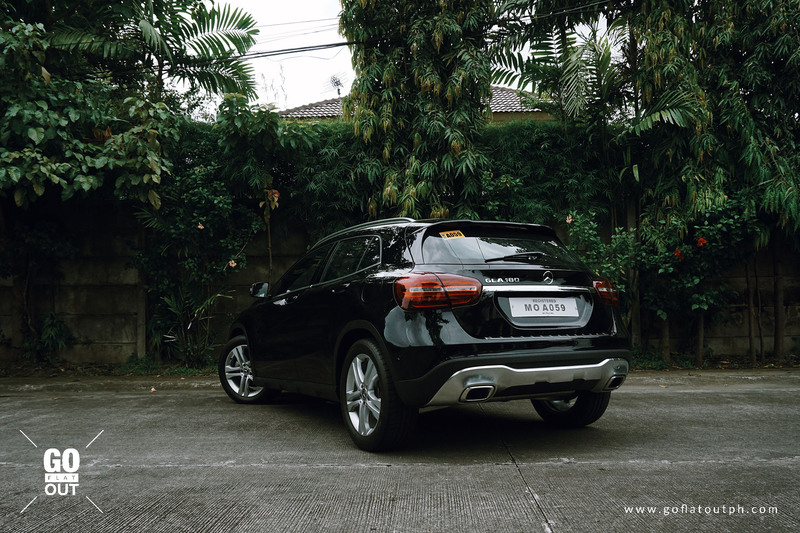 This GLA is clearly not your usual Mercedes-Benz aimed at your Tito or Tita. As a long distance cruiser, the Mercedes-Benz GLA is quite good. The car feels quite stable and confidence inspiring, though I think the interior could use a bit more sound deadening, especially for a luxury car. The GLA is also quite willing when it comes to overtaking slower vehicles, though because 120 horsepower doesn’t arrive until 5,000 rpm, you’d still wish it had more power despite the car’s strong torque. A pleasant surprise is the 7-speed dual clutch transmission’s responsiveness in manual mode. It even rev matches when you flick the paddle to downshift, which is something I would normally encounter only in hot hatches and sports cars. With its 1.6-liter turbo petrol and 7-speed dual clutch, fuel economy under my hands managed to be at 9.68 km/l, which is good, but not outstanding. Perhaps my two major downsides with the Mercedes-Benz GLA are its firm suspension and rather awkward visibility, due to the thick front and rear pillars, which often makes the interior quite dark and dingy. So we go back to the question, has Mercedes-Benz succeeded in their creation? To answer that, we first need to know what people like us generally look for in a car. For starters, the GLA has the right ingredients to attract a younger demographic, such as style, presence, and commendable driving dynamics. From the outside, the Mercedes-Benz GLA stands toe-to-toe with its more expensive siblings. It’s a car that easily stands out in the parking lot. Whereas the A-Class, which is its stablemate, falls show in terms of space, the GLA offers a more compelling proposition at a price that’s not too far off from the A-Class. While traditionalists would opt for a C-Class as their entry point to the Mercedes-Benz brand, the GLA is a compelling luxury vehicle for the younger demographic that the brand is aiming for.